Hello! 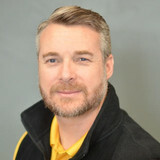 My name is Neil Covaleski, and I own and run your local CertaPro Painters franchise in East Central Wisconsin. It is my job and pleasure to help you get the best paint job possible. And that means finding and managing the best painters Wisconsin has to offer. The crew on your project will be made up of career painters, most of whom have been with my company for many, many seasons. We only use professional painters with a proven dedication to their craft. And you will want to know how things are progressing. Each day you will get an update on what was accomplished and what is to happen next. Just let us know how you want to communicate - in person, by phone, in email, or through some other method. Look no further for your local, professional house painter. Color consulting, carpentry repairs, Lead Safe work practices, warrantied work. Call today for your FREE detailed, fixed price house painting proposal! Paul Steffes and Julia Minina-Steffes are a husband and wife team dedicated to transforming their clients’ homes into personalized jewels. Just as an artist is unique in his or her brush strokes resulting in a one-of-a-kind masterpiece, Paul and Julia bring their own, individual artistry to the centuries-old tradition of European finishes. They work one-on-one with clients through a discovery process leading to solutions that transform spaces into stunning showcases. Paul spent his early years as an apprentice to a local artisan, learning the craftsmanship and artistry necessary to create the time-tested finishes used for centuries to a stunning, award-winning affect. With decades of experience, he has finely-honed his skills, and delights in finding new ways to use traditional finishes. From precisely matching an existing color, texture, or finish, to creating custom finishes for an outstanding impact, Paul has the vision to create an outcome that clients will delight in for years to come. Originally from Latvia, the capital of Art Nouveau style, Julia has spent countless hours traveling throughout Europe studying and admiring the finishing techniques of the masters. Julia focuses on the details. From stitching delicate fabric welting, to ensuring a space is spotlessly clean upon project completion, she oversees every element that makes a space a cohesive piece of art. She ensures each project runs smoothly and that the end result meets the high Steffes Studio standard. Paul and Julia see themselves not only as artisans, but also as problem solvers for their clients, offering a sophisticated aesthetic, as well as an unmatched sense of honesty and diligence. The fresh clean look you want, that cozy feeling you desire, an energetic space for those growing kids! 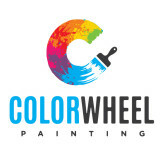 Since 2004 Colorwheel Painting has brought our RELIABLE & TURNKEY approach to our customers throughout Milwaukee. One room or thousands of square feet, our talented, friendly painters make you feel comfortable when we work in your home. Started by owner Michael Madson, Colorwheel employees only full time, career position painters that effortlessly get you from old, dated, and worn out looks to the updated looks you want. You'll love how responsive we are, and the overall ease of this entire project process. Forget the frustration of dealing with other painters, lapsed communication, scheduling delays, and forget about the painstaking efforts and subpar results of DIY, the best painters in Wisconsin are here at your fingertips! My painting experience goes back over 30 years and most of our painters have ten to twenty-plus years of painting experience. But experience alone does not tell you the whole story of our workmanship. Our method is to follow the proper procedures for each project. We do not take short cuts. All of our employees are trained, either through apprenticeships or on-the-job training, and are closely supervised. We work safely, provide quality workmanship, and at the same time have fun doing the work. Located on the East side of Milwaukee, we travel throughout the Milwaukee area, as well as Ozaukee and Waukesha Counties. During the summer months our workload is split between exterior and interior projects. From November through March we specialize in indoor projects due to the weather. Affordable, Professional, Interior/Exterior Residential and Commercial Paint Contractor. Our CertaPro team members are true professionals who take great pride in their work. Experience counts for a lot in the painting business, but it's how we apply that experience that makes the real CertaPro difference. Our company was founded in 1985, on the principle of providing quality work for a fair price to all our customers. Through customers, vendors, merchants and facilities managers, we have created a widely respected reputation for doing quality work, in a timely manner, for a fair price. We do our utmost to provide flexible scheduling to complete your project and to fit your needs We are committed to using the most environmentally friendly paint products, wherever possible. Our in-house, metal paint can recycling program has kept tens of thousands of paint cans out of the landfills over the years. Whether it's an interior or exterior job, on residential, commercial or industrial, call to see if we are the answer to your painting question. We specialize in customizing your space with Paint, Faux Finishes, Texture, Wallpaper or Stain. Quality is our top priority and we aim to please you! We are a small business that goes out of our way to make sure that you are not only happy with your experience, but that you will want to return to us. We use only top quality product and stand behind our work every step of the way.. If you're looking for expert painting and drywall services anywhere in the Sheboygan, WI area, look no further than the experts at B & N Drywall and Painting. 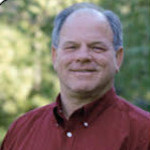 With 30 years of combined experience, you can rest assured we have the skills and knowledge to get the job done right. We are a third -generation company which has done several high-profile jobs in the area, including: The Marina Vista for Mike Koenig Construction (down by the lake at 6th and Pennsylvania Ave.), Orion Lighting for Jim Pankow, Inc in Manitowoc, and the Felician Village in Manitowoc, as well as several hotels in the local and surrounding areas. It’s amazing what a simple coat of paint can do. It can transform ordinary spaces into extraordinary ones. Turn an old and faded look into a clean and bright one. Or even color how people look at you, your home or the way you do business. That’s why, at Proud Precision Painters, we take such great care to provide you with the highest-quality paint job possible—along with the best customer experience to match. Our approach is simple. We hire only the most knowledgeable painters, provide them with superior paints and materials, and take the time to develop and execute a plan that delivers exceptional work. The result? Well, you’ll be amazed. O'Brien Professional Painting has painted hundreds of homes on Milwaukee's North Shore in Whitefish Bay, Shorewood, Fox Point, Bayside, Glendale, Mequon and the East Side but the one we're most excited about painting is the one we're painting today. Your home could be that home! Know what you want? Great. We love to execute on a homeowner's vision. Need help with colors?? That's where our consultative approach and vast experience shines. Whether its interior or exterior painting, we'll come up with a concept that you'll love, and then we'll make it happen. Call today to schedule your appointment and free estimate. We can't wait to hear from you! Home Shield Coating® is designed to be a money saving alternative to painting or staining. We also offer Windows, Siding and Gutters. Do you want to give your home an updated look without building new? My name is Dawn Piontek, and I want to help you transform your space! Home or business, I specialize in interior painting, staging, and color design services throughout Northeast Wisconsin. Contact me for your consult today. I offer a painting service which includes both interior and exterior painting. For interior painting, no job is too small! From trim, to baseboards and moulding, paneling, windows and doors, and walls and ceilings, I am neat and punctual. Exterior-wise, I offer surface preparation, priming then painting, and cleanup. Men at Work - The Handyman Company is a family-owned and locally operated company that has been in the business since 1989. We have over 30 years of experience in the industry, and we offer quality work with a personal touch. Contact us today for FREE estimates and any assistance that you require!